The organic composition of this coffee table truly has a chance to shine, through the intentional use of grey distressing that exposes the delicate fine grain of its solid mango wood construction. Crafted by hand making each one a one-of-a-kind work of art, this environmentally conscious table will bring a combination of rustic charm and earthy beauty to the home. Allowing for easy transition between use as a table or ottoman in the living room, bedroom, or seating area, the large surface area of this piece will allow for an abundance of space to style dicor. Mixing industrial and rustic styles can be tricky business; but in the case of this Ambassador coffee table series, the balance achieved is strikingly perfect. With a large smooth top surface you will have plenty of room for your coffee table books, decorations and your remotes. Two large storage drawers give you ample space to house your books, magazines, and everyday essential close within reach. The warm, rich tones in the wood veneer are beautifully contrasted and complemented by metal hardware and hand painted metal castors. Built with high-grade materials, this stunning series will be a lasting favourite. Mixing metallic and wooden looks can be tricky business; but in the case of this Magnum coffee table series, the balance achieved is strikingly perfect. Splayed metal legs hug the naturally gorgeous tabletop, with storage drawer, and connect it to a lower display surface. The warm, rich tones in the wood veneer are beautifully contrasted and complemented by metal hardware and accents. Built with high-grade materials, this stunning series will be a lasting favourite. 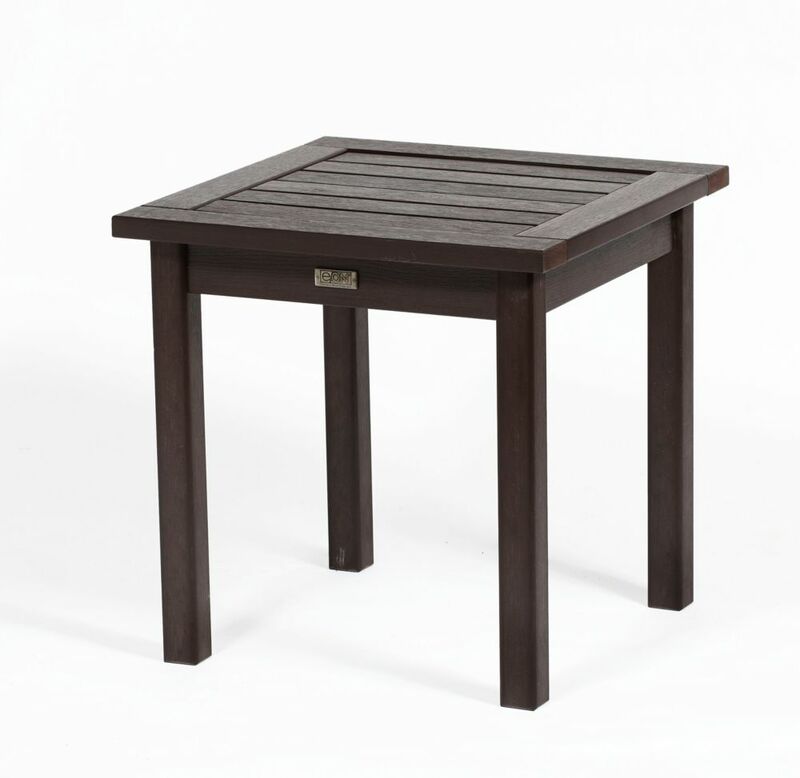 Espresso Deep Seating End Table-20 Inch The Eon Deep Seating Collection truly delivers lasting natural beauty. Crafted from an innovative all-season resin that boasts incredible fading and weathering performance, Eon's premium products maintain their beautiful, natural wood-like appearance over their very long lives.. Eon technology eliminates the frustrations associated with sanding, staining and painting. Eon is one of the finest alternatives to wood available on the market today. This beautiful Deep Seating collection is comfortable and durable and designed for easy assembly. To further compliment these beautiful chairs, Eon also offers a matching side table, a variety of coffee and conversation tables and ottoman. Available in 3 amazing finishes: Teak, Espresso and White. Our cushions are made from genuine Sunbrella fabric in our own factory and are specifically designed for extraordinary comfort and beauty.